Faustino Cava? Buy Faustino Cava's online quickly and safely! From Eleuterio Martínez Arzok to the fourth generation which currently leads the winery more than 150 years of tradition and expertise in the world of wine have passed. 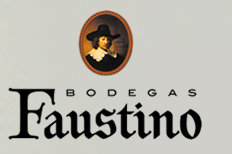 Bodegas Faustino, located in Oyón, Rioja Alavesa, enjoys international renown earned over more than 150 years of experience in the production and ageing of premium wines. Crossing the doors of Bodegas Faustino is like stepping right into the history of wine. It is an unforgettable experience in a winery with the most extensive worldwide recognition. It is losing oneself in an immense barrel hall or in the spectacular bottle ageing cellars. It is discovering a great winery where more than nine million bottles are resting. It is sharing the passion of a family for the land and a respect for a centuries-old tradition in creating wines. It is discovering the essence of Rioja’s leading exporter of Gran Reservas. Bodegas Faustino owns about 650 hectares of vineyards in the best areas of the DOCa Rioja, in the municipalities of Laguardia and Oyon, and it is one of the largest owners of vineyards in Rioja. The land of Rioja Alavesa offers exceptional qualities, a chalky-clay soil and an optimum microclimate confer unbeatable quality to the grape varieties that grow in our vineyards. Tempranillo, Graciano, Mazuelo and Viura Love and respect for nature are two of the pillars on which the philosophy of the winery is based. In recent years, we have incorporated new, environmentally-friendly grape growing practices to make our vineyards increasingly sustainable. Among others, we employ precision viticulture to monitor canopy development in different areas within the same plot.